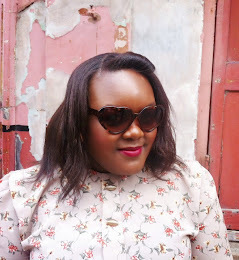 *What are your attitudes to being "plus size"? *What do you do when you're having one of "those" bad body days? *What is your best feature and why? *What type of style do you wear to compliment your body? *For those still confused and/ or feeling abashed due to their size, what advice would you give them? I will be posting every participants answers and will not edit- I hate it when things are chopped up and things get lost in translation. If you would like to email me your answers, you can do so via my contact page above, giving you first or full name (your preference). Alternatively, feel free to jump me at Fattylympics, and I will either hand you a sheet or video record you for posting (again, your preference). Thank you, thank you, thank you in advance- can't wait to hear what you have to say.